It seems that different options of our life journey are pre-planned for us in a mysterious way, and we have a chance to bring to the realisation the option we are ready for. 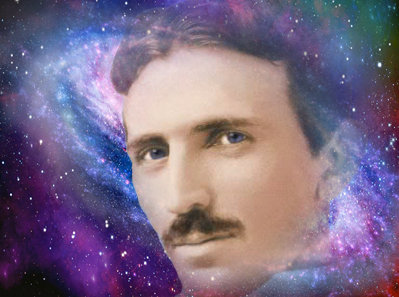 Reading the book TESLA MEATMORPHOSIS – Heal and Evolve, we can realise that Anya was prepared for this journey much before she, her herself, was aware of it. At that summer day in Belgrade, 10 July, on Tesla's birthday, Anya’s life was completely changed. This was the day when she received the insights of Tesla Metamorphosis. It happened like in a fairy-tale. The fairy-tale which was later scientifically confirmed. While doing a healing session, she heard the voice: “Tesla Healing. You need to reconstruct. Tesla Healing.” At that time this did not make any sense to her. “To reconstruct?” She thought, “I am not an engineer or a physicist. How could I “reconstruct” something the genius Tesla invented?” The message came again, but she still could not find logic in it. That day there were 9 “coincidences” that were telling her that she needed to do something connected to Nikola Tesla. A year earlier Anya received channelled material titled “Metamorphosis of Consciousness – Reconstruction”. A young girl from a small town in Serbia had channelled Estella from the Constellation Grui since she was twelve years old, and she was guided to hand this text to Anya. At that time it was not clear to Anya why this information was dedicated to her. Now it is clear that all theory and philosophy behind Tesla Metamorphosis is in this text. Estella explains that from 2010 starts the process of reconstruction, transformation and metamorphosis of the human race, and what role Anya needs to take in this process. Another “coincidence” happened nine years earlier. In less than 20 hours from the moment when she heard herself saying: ”I must go to India”, she was on the plane to India, not even knowing where exactly was she going and why was she going. 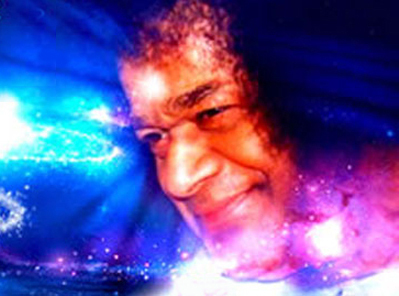 She ended up in Sai Baba’s ashram and she had a very interesting experiences on this journey. It was 9 years later when she understood why she had such urge to go to India. She was teaching her very first Tesla Metamorphosis seminar in Sydney. One of the students forwarded to her a mail she had received from Italy. In this mail was a quote from the book Divine Revelation of the Third Millennium by Yor Glory. In this quote, Sai Baba says: “I had sent that angel, Nikola Tesla, (who lived from 10th July 1856 until 7th January 1943) to alleviate and improve your destiny. As you know, his genius was obscured by human greed, by those who were thirsty of worldly glory and hungry for material wealth, those who could not step aside and leave room to Goodness, Harmony and Purity – the only true wealth of humanity and nature on the planet.” That was when she finally understood that she went to Sai Baba because of Nikola Tesla! Nothing happens just by chance, there are no doubts.